Alpine Electronics released their own CarPlay head unit, the iLX-007 a few days ago. They also updated their TuneIt app to version 2.3 to support the new hardware and iOS 8. The app is available on iOS and Android and gives users the option of adjusting various sound settings for the best listening experience. 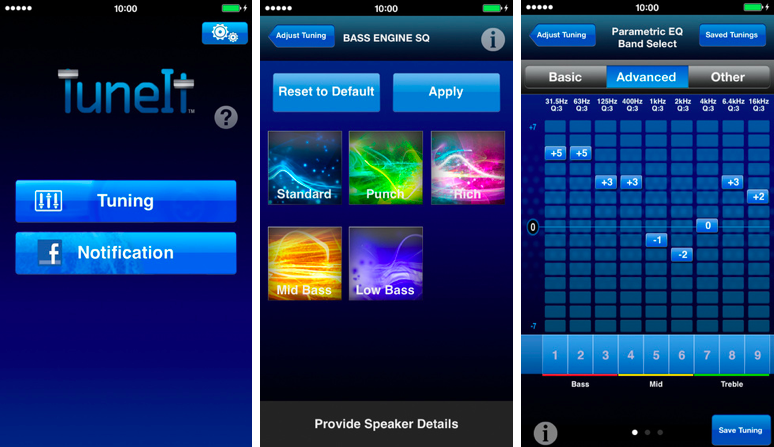 The latest version of the iOS version of TuneIt is now available for download. Here are some features of the app. The Apple CarPlay-capable Alpine iLX-007 is compatible with the Alpine TuneIt app. TuneIt is available free for download. Sound settings that can be customized using the app include time correction, parametric EQ, crossover points, preset EQ modes and more. The settings can be uploaded to the iLX-007 for precise sound customization and immediate results. The iLX-007 is priced at $800 and available for purchase through various authorized Alpine dealers.